A sure sign of impending spring is open water and the best way to christen that tiny fissure in the ice is to take a swim. 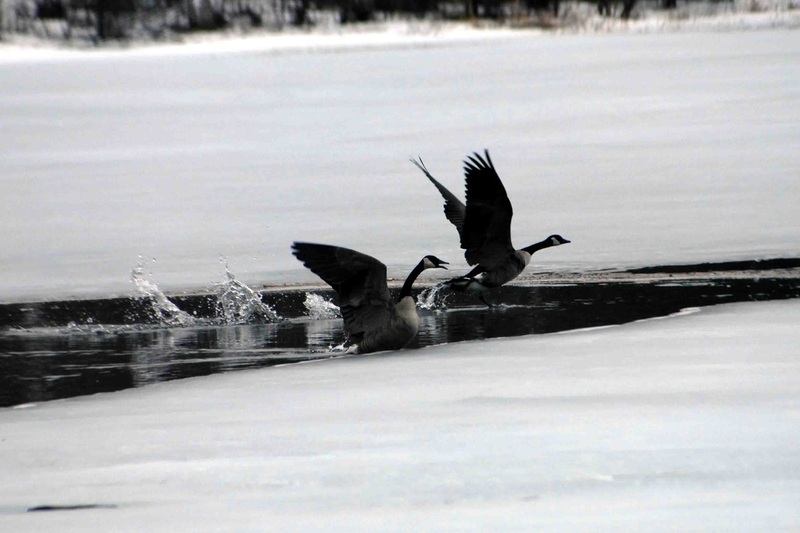 A pair of Canada Geese are discovered checking out a possible new home to raise their family. Of course, it's going to be a while yet.